So sunsets obviously have a special meaning to be. Depending on your POV, they could mean the end of a lifestyle and standard of living that I may never know again. But, as the title of this blog suggests, they might portend new nations and experiences for this new American expat from Seattle. My suggestion du jour (you know that I always seem to have one) is to find your own sunset, whether it exists in your own backyard, or on another continent. Whatever meaning it may have to you at that moment, a sunset can sometimes change your life forever. Greetings from New England Steve! Hope you are enjoying your new home! LOVE this post. 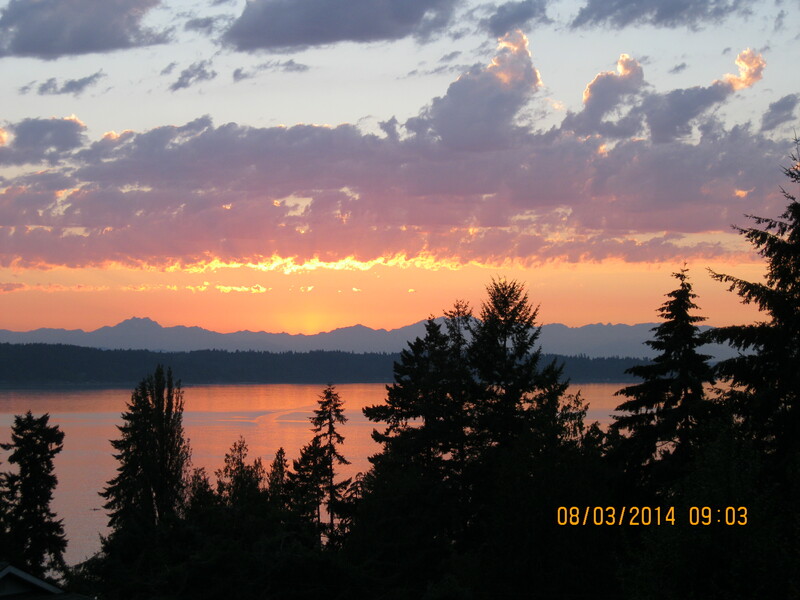 The sunset from your house in Washington is beautiful. I have been reflecting on sunsets lately as well for as you know, Arizona has some of the most amazing sunset. There is something so comforting about sunsets in this ever changing life, knowing that no matter where we are in life, or in this world, the sun will always rise, and there will always be a sunset at the end of the day. Thank you for your first post and sharing this Uncle Steve! I am excited to read more! Love you and so proud to be your niece! The picture of the sunset in Washington is beautiful! I have been reflecting on sunsets the past year too as I look at them from Arizona. As you know they are beautiful here, but it also represents change, another chapter in my life. But there is something so comforting know that no matter where we are in life, or in this world, the sun will always rise and there will always be a sunset at the end of the day. Thank you for sharing your first post! Love you Uncle Steve and so proud to be your niece!